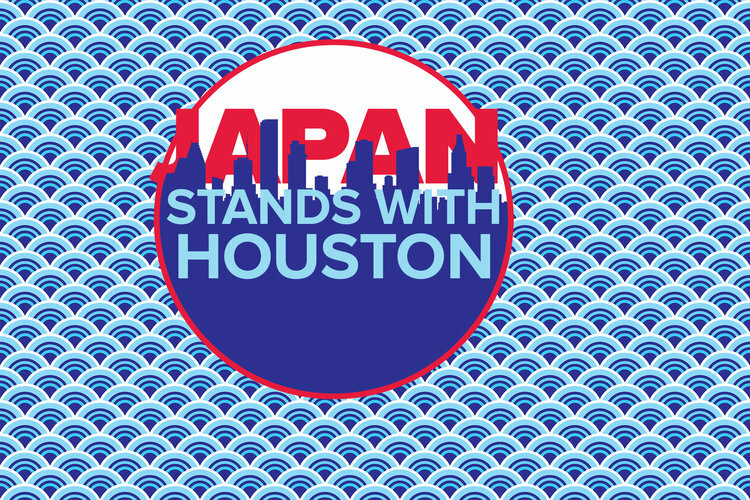 In response to the damage caused by Hurricane Harvey, the Japan-America Society of Houston (JASH) established the JAPAN STANDS WITH HOUSTON FUND. Gifts to the Fund will be donated to local Houston charities supporting recovery efforts. You were there for us in 2011 to assist people and communities affected by the Great East Japan Earthquake and Tsunami. You also came to our aid in 2016 as we responded to the Kumamoto Earthquake. Now, we are here to support you. JAPAN STANDS WITH HOUSTON. The Fund will serve as the focal point of support received from Japan and from friends of the U.S.-Japan relationship. All contributions will be utilized to support trusted local Houston charities with five-star ratings on Charity Navigator. You can donate by check, wire transfer, or credit card through the JAPAN STANDS WITH HOUSTON FUND page. More information is available in English and Japanese on the fund page. Hurricane Harvey hit Houston on August 30th, 2017 causing severe flooding and damage to thousands of homes. 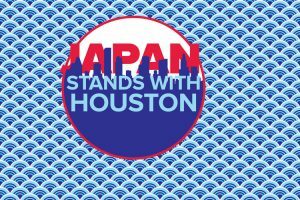 For updates on JAPAN STANDS WITH HOUSTON relief efforts, follow the JASH Facebook page. The JETAA Oceania Regional Conference took place in Christchurch, New Zealand this year, over the weekend of Oct 16th-18th. 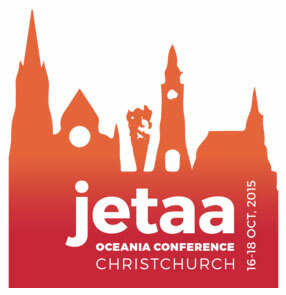 JETAA Oceania is a meeting of chapters from two countries, Australia (5) and New Zealand (3), as well as the respective country representatives. Australia’s Country Representative, Eden Law (ALT Fukushima 2010-2011) reports on the proceedings of the 2015 JETAA Oceania Conference. Maintaining connections with new JETs by following up after a month to see how they are going. If you have a newsletter, ask for article contributions (e.g. “Best experience”, “Most surprising aspect”, “What I should have packed”). These can also be used as material for the next pre-departure orientation. Have a committee retreat – have a mini conference by going away to a nice country location to discuss ideas, plan schedule etc. For a fun fundraising idea, have a trivia night where answers/clues can be bought for a small fee. Cheat for charity! This conference also marks my presentation debut as a shiny, newly minted country representative, which was also the same for my New Zealand equivalent, Raewyn MacGregor. Our presentations were about what we’d do as CRs, considering that the role tended to be re-invented to suit each new candidate’s needs and personality. Apart from trying to reduce the wheel-reinvention aspect by keeping records and procedure documentation, we will also aim to focus on community and communication. To that end, I put forward a proposal to have regular, scheduled Google Hangouts for Oceania to keep in touch and continue the flow of dialogue, ideas and support for each other (and if possible, get some participants from outside Oceania to join in!). We will also look at ways of supporting recent returnees, whether in the form of support, mentorship or career opportunities. We also discussed the Satogaeri Project and the Tokyo November conference, where Satogaeri representatives from several countries (and AJET) will meet and discuss several ideas, such as next year’s 30th Anniversary celebratory plans, and, most interestingly of all, the possible revival of JETAA International (JETAAI). This chapter had gone dormant for the last few years since losing funding during austerity measures implemented by previous governments. For some of you out there, you may be aware of (or have participating in) the short bursts of email communications regarding this chapter. From the documentation presented by CLAIR at the conference, it’s now clear why this was occuring, as JETAAI’s revival looks fairly certain, with proposed committee members election to be held (presumably with those present). There are other further surprising items on the agenda regarding country representatives, so I’ll await the post-conference report with interest. On a final note, it became clear that the common ingredient running through all successful ideas was networking – building and maintaining relationships which can be tapped into for opportunities. This does require work and commitment – as is the case with anything worthwhile. You can’t go at it half-arsed if you intend to make things a success, after all. Special thanks go to our great chapter hosts, New Zealand’s JETAA South Island, lead by president Caroline Pope (and NZ’s Satogaeri representative) who ran a very efficient and tight ship, which our visiting CLAIR official from Tokyo even remarked on, as being better organised than recent conferences that he had attended. High praise indeed! The conference site is still up in the meantime. Check out all the pics and posts on Twitter and Facebook by searching for #jetaaoc. Update 02/13/14: The JASP and Pitt are still seeking speakers for their career event on March 21. Please see the updated details below. JET alum Amy Boots of the Japan-America Society of Pennsylvania is seeking JET alumni who can travel to Pittsburgh for a day to speak at a Japan-related careers program. Please get in touch with her if you can help with this great opportunity to demonstrate Return On JET-vestment. Posted by blogger and podcaster Jon Dao (Toyama-ken, 2009-12). 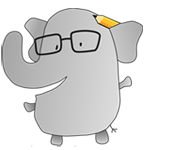 Click here to join the JETwit Jobs Google Group and receive job listings even sooner by email. The Japan-America Society of Pennsylvania, in partnership with the University of Pittsburgh, will hold a career program for university students in the Pittsburgh area who are interested in a Japan-related career. We are looking for presenters with careers that make use of their Japanese language abilities or interest in Japan and are interested in meeting with college students and recent graduates and discussing their experiences in an informal setting. We are able to pay for transportation, one night at a hotel, and an honorarium for your time. Some of the program will be about the JET Program and how it can act as a stepping stone, but people with no JET connections are also invited. The program runs Friday afternoon 3/21 including a lunch, short info sessions and discussion panels – all casual so you don’t need to prepare much in advance, we will send a schedule and details. You can fly in Thurs night/Fri morning and we can return you Saturday or you can stay till Sunday (You would pay the additional 1 night hotel at your own cost or choose to find local accommodation elsewhere) – if you’ve never visited Pittsburgh, we are a great city with lots of museums, restaurants, etc. Pittsburgh JET alumni would also be happy to show you the city on Friday night/Saturday if you are interested, including happy hour and tour. If traveling is out of the question, we can also arrange for you to videoconference in on Friday afternoon or early evening, which we can thank you for with a gift or modest honoraria. We have a lot of students of Japanese language or those with interest in international careers and they love to talk to people outside our normal Pittsburgh circles, and we’d love to discuss the program with you if you’re not sure. We also welcome contacts you may know who would be interested – contact Jenn Murawski atjennm@pitt.edu or Amy Boots at aboots@us-japan.org. New York, NY – Approaching the second anniversary of the Great East Japan Earthquake and Tsunami, Japan Society announced today seven new grants from the Japan Earthquake Relief Fund (JERF) totaling $1,779,694. Of the funds that have been donated so far, the Society has earmarked a total $11.1 million to 33 organizations in support of 41 projects on the front lines of relief, recovery and reconstruction in Tohoku. Ashoka Japan’s Tohoku Youth Venture provides opportunities for junior high, high school and college students who have creative and innovative ideas for revitalizing the Tohoku region to pitch their idea as part of Tohoku Youth Venture initiative, and potentially receive seed funding to put their ideas into action. Thanks to Jim Gannon (Ehime-ken, 1992-94), Executive Director of the Japan Center for International Exchange (JCIE/USA), for sharing this Japan Society event with which JCIE is involved. The world’s eyes were on Kamaishi City in Iwate Prefecture a year and a half ago when a large portion of the city was devastated by the March 2011 tsunami. A number of small and mid-sized businesses—the lifeblood of the region—have taken innovative, entrepreneurial approaches that have yielded initial successes in revitalizing the local economy. Local leaders, Akiko Iwasaki, Owner, Horaikan ryokan, Akio Ono, President, Ono Foods Co., Ltd, and Takahiro Sasa, Deputy Manager, Industry Promotion Department, Kamaishi, as well as Takeo Kikkawa, an energy expert and Professor, Graduate School of Commerce and Management, Hitotsubashi University, will give firsthand accounts of how they have restarted their businesses against formidable odds and the challenges that continued to confront their community and others like it throughout the disaster zone.Followed by a reception. New York, NY – Japan Society announced this week the fifth round of grants from the Japan Earthquake Relief Fund (JERF), supporting eight organizations, seven of which are first-time grantees. With additional grants totaling $2,131,000, this latest announcement brings total allocations from the $12.9 million fund to $9.4 million distributed to 27 organizations representing 34 grants that directly serve people affected by the Great East Japan Earthquake of March 11, 2011. Sakurai told Reuters in a profile of the Society’s relief work earlier this year that focus should be on local entrepreneurship and lasting sustainable projects. “It is very, very evident in Japan this recovery process will continue for more than 10 years,” he said. New York, NY – Japan Society announced today an additional eight grants totaling $1.6 million from its Japan Earthquake Relief Fund(JERF). This latest announcement brings total allocations from the $12.5 million fund to $7.2 million distributed to 19 organizations representing 25 projects that directly serve people affected by the Great East Japan Earthquake on March 11, 2011. The latest round of allocations supports six new grantees and two previous grantees. Projects range from orphan care, evacuee services and healthcare for people still living in temporary housing, to education workshops throughout Tohoku, promoting creative arts from the region, building a community center, and summer camps for children in Fukushima, which continues to cope with its nuclear crisis. Whiting first came to Japan with U.S. Air Force intelligence in 1962, where he was assigned to work for the National Security Agency in the U-2 program. He graduated from Tokyo’s Sophia University in 1969 with a degree in Japanese politics. His research into the ties binding Japan’s leading politicians to Yakuza bosses gained him entrée into the Higashi Nakano wing of Tokyo’s largest criminal gang, the Sumiyoshi-kai, where he became an “informal advisor.” He worked for Encyclopedia Britannica Japan as an editor until 1972, whereupon he moved to New York City and wrote his first book, The Chrysanthemum and the Bat. 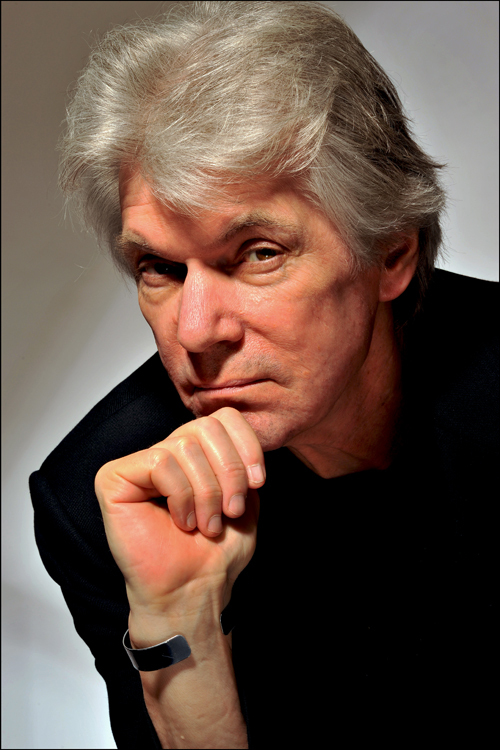 He later worked for Time-Life in Tokyo for a year before becoming a professional author. By JQ magazine editor Justin Tedaldi (CIR Kobe-shi, 2001-02) for Examiner.com. Visit his page here for related stories. As part of this year’s Under the Radar Festival, Japan Society kicks off the new year with a nine-day stage run of Hot Pepper, Air Conditioner, and the Farewell Speech and THE BEE now through Jan. 14 and 15. Under the Radar is an annual theater festival that spotlights international artists ranging from emerging talents to masters in the field. 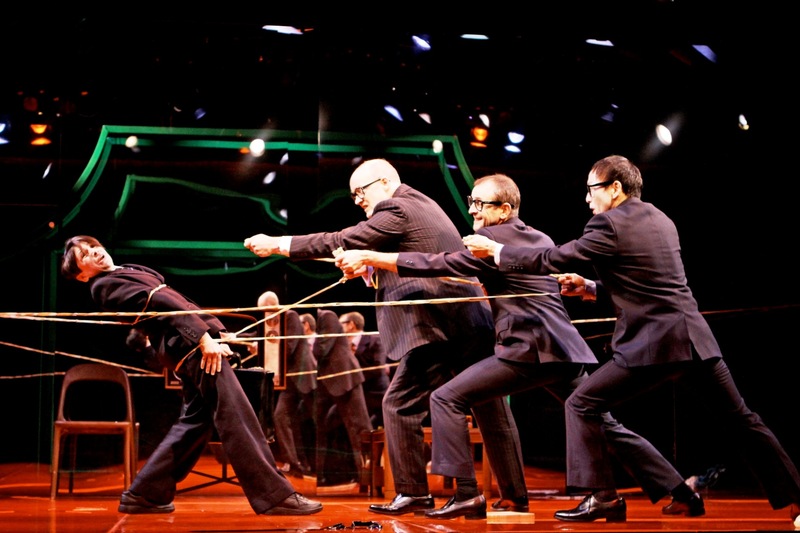 The festival is a wild mix of works by ensembles, solo artists, writers and creators, offering a crash course in theater created by some of the most dynamic artists working today. 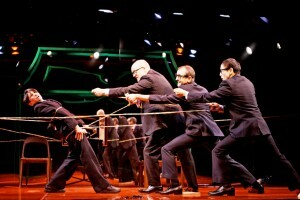 In its seven year history, there have been 104 productions from over 17 countries. Thanks to JET alum Christy Jones of the Japan Society in New York for letting JETwit know about fellow JET alum and Japan Society colleague Alma Jennings (Fukushima-ken, Iwaki-shi) who has written about her return to Iwaki City in Fukushima where she went to volunteer and reconnect with old friends and colleagues. “Like many young Americans interested in Japan, Alma Jennings, a Development Assistant at Japan Society, participated in the JET Programme and lived and taught English in Iwaki City on the southern coast of Fukushima Prefecture between 2008 and 2010. In September 2011, Alma returned to Iwaki City to visit her friends, former colleagues and students. She also went to the Iwaki City Volunteer Center to volunteer. Here is the first-part of a three-part series on her experience. CLICK HERE to read more Return to Tohoku posts by other JET alums. Update 08/14/11: See below for responses so far from various chapters. This survey is intended to help figure out how much collaboration exists between JETAA chapters and the Japan-America Societies in their area. It comes on the heels of having a chance to talk with and listen to Peter Kelley, President of the National Association of Japan America Societies (NAJAS), and JET alum Marc Hitzig, Deputy Director of the Japan-America Society of Washington, D.C., who both spoke at the JETAA National Conference in Washington, D.C. a couple weeks ago, as well as a recent conversation with Japan Society of Boston‘s President, Peter Grilli, and Program Marketing Manager (and JET alum) Bhaird Campbell. *Please e-mail responses to Steven Horowitz (Aichi-ken, Kariya-shi, 1992-94) at jetwit [at] jetwit.com or post in the comments section below. From talking to JETAA officers at various conferences and in other contexts, it seems that each JETAA chapter has it’s own unique relationship with its local Japan-America Society (JAS). And of course every JAS has its own unique characteristics. Getting a sense of what the relationship history has been, whether any JET alums work for the JAS and any additional thoughts you might have on the topic. With respect to JETwit, I started just subscribing to all of the JAS e-mail lists which led to an ongoing and periodic Japan-America Society Round-up post, now written by Gail Meadows (Hiroshima-shi 2007-10). In Washington, D.C., the Japan America Society, among other things, runs the annual Cherry Blossom Festival which attracts thousands of people and involves many JET alum volunteers who play a very significant role in running the event. It also happens to have a JET alum, Marc Hitzig, working there, and another JET alum, Laurel Lukaszewski, who previously served as the organization’s Executive Director. In Minnesota, apparently there’s usually a JETAA Minnesota officer who is active on the Board of the Japan America Society in Minneapolis. There are clearly many more great examples of collaboration and a lot more info to gather. By gathering the information here, I hope to get a bigger picture sense of the JETAA chapter relationship with JAS and figure out if there are ways to foster greater collaboration and sharing of info and ideas in the future. As responses are received, I’ll add the text to this post so that it becomes a record and a resource available to JETAA chapters and to JAS. Why? This ties in with the “Return on JET-vestment” concept as well as with big picture strategic thinking about the future of JETAA and JET. It’s a first step that will hopefully shed light on the topic and open up new ideas and opportunities. Apropos of nothing, here’s a great piece by Rick Ambrosio (Ibaraki-ken, 2006-08) about a recent film event at Japan Society in New York featuring an appearance by Sora Aoi. I’m not sure how far back JET Alum involvement with JAS goes, but I do know that we have had members in common with The Heart of America Japan-America Society almost as long as there has been a chapter in KC and several of our members have held positions on the JAS Board over the years. We have a joint event this weekend, HJETAA and HoA JAS co-sponsor the Japan Pavilion at the Greater Kansas City Ethnic Enrichment Festival (http://www.eeckc.org/). We promote JET and recruit new members (and find some who have slipped through the cracks over the years) and help JAS with their fundraising efforts. We may, eventually, do our own fundraising at this event attended by 10′s of thousands of people. We also sponsor networking events with JAS and other Japan-related org’s two or three times a year. Last year we organized a food tasting for the UMKC Jazz Band and JAS members who were selected to perform at the National Culture Festival in Kurashiki, Okayama, Kansas City’s Sister City. Of course, we have a booth at the GKC Japan Festival and our members are involved in many phases of the organization and execution of the festival (I was almost it’s Executive Director, at one point). This year we have volunteered to do a presentation on JET and the Alumni Association on one of the event stages as well. Naturally, we promote each other’s events and I recommend the JAS to all JET recruits and returning members. We’ve talked about reciprocal membership but we’re still negotiating. On an individual basis, many of our members are also in JAS and are involved in varying ways from simple membership and volunteering to serving on the board, as I mentioned earlier, organizing events and making presentations. 26th Annual Berkeley Kite Festival — Experience the excitement and artistry of modern kite flying at this festival to celebrate the renewal of life and the confirmation of community spirit. Special guests include the Sode Cho Kite Team of Hamamatsu, Japan. This event, which is free and open to the public, features the Japanese-Style Rokkaku Kite Battle for the Skies as well as free kite making and a candy drop for kids. Radio broadcast of “Letters from Sendai” — Here is one radio broadcast you won’t want to miss. KERA News is broadcasting a continuing series titled “Letters from Sendai,” featuring letters written by earthquake survivors. Volunteers with the Japan Society helped collect the letters from people in Sendai, translate them into English and record readings of them at the KERA studio. The next installment will air Aug. 1 on 90.1 FM. You can hear it during Morning Edition (6:30-8:30 a.m,) and All Things Considered (4:30-6:30 p.m.). The approximate times will be 6:30 a.m., 8:30 a.m., and 5:20 p.m. For links to podcasts of previous broadcasts from the series, click here. Colorado-Yamagata 25th Anniversary Celebration Luncheon — JASC will host a luncheon to celebrate 25 years of exchange between Colorado and Yamagata this August. A delegation of eight from Yamagata, including Vice Governor Takashi Takahashi and Kozo Taira, Chairperson of the Yamagata Prefectural Assembly, will visit Colorado in celebration of the 25th anniversary of the sister-state relationship between Colorado and Yamagata Prefecture. The keynote speaker will be Ichiro Fujisaki, Japanese Ambassador to the United States. Does your Japan America Society have an upcoming event that you’d like to share with JetWit readers? Email Gail the info at gail (at) jetwit (dot) com. “The Rainbow for Japan Kids project is aimed at providing positive educational and cultural experiences for children in Iwate, Miyagi, and Fukushima prefectures who have experienced some sort of trauma/devastation/loss from the Great East Earthquake in March. The organization at which I work (Japan-America Society of Hawaii) is responsible for planning this project, working with supporters in Japan and Hawaii. As Educational Program Director, I am personally in charge of arranging many of the activities (team development courses at Kualoa Ranch, Camp Erdman on Oahu’s North Shore, Kilauea Military Camp on the Big Island of Hawaii) for the 20 middle school students during their 10-day stay beginning tomorrow. Do you know of a JET alum working for the benefit of the Tohoku region through the organization where they work? E-mail jetwit [at] jetwit.com to share their story for posting on JETwit. If you’ve been looking for good sources of on the ground reporting in Tohoku, you may appreciate the writing of Japan Society of Boston President Peter Grilli who just returned from three weeks in Tohoku. After March 11, JSB teamed up with The Boston Foundation and the Fish Family Foundation to create the Japan Disaster Relief Fund Boston. Below are two reports by Peter for JSB as well as two for JDRFB. I saw the below press release from the Japan Society in New York just before attending the Japan Foundation and JCIE/USA gathering aimed at helping Japanese NPOs and U.S. organizations better collaborate and share information for disaster relief support. Listening to the discussion helped me appreciate even more the tremendous effort that the Japan Society in New York–not traditionally a grant-making organization–has made and continues to make in providing disaster relief support. The list of grantees also gives some sense of the key needs in Japan right now. Via Shannon Jowett, Director of Communications for Japan Society in New York. New York, NY – Japan Society announced six organizations working in relief and recovery in Japan to receive $2.1 million in the second round of funding from the Society’s Japan Earthquake Relief Fund (JERF). The organizations–AFS Intercultural Programs Japan, Care Center Yawaragi, Japanese Medical Society of America, Japan Primary Care Association, Supporting Union for Practical-Use of Educational Resources, and the Tokyo Volunteer Network for Disaster Relief–will receive grants to strengthen their relief and recovery efforts in the aftermath of the earthquake and tsunamis that struck northeastern Japan on March 11, 2011. AFS Intercultural Programs Japan is a non-profit international exchange organization for students and adults. AFS Japan provides a wide range of programming, including summer camp programs, and school-based exchange and shorter summer programs for high school students. With support from JERF, AFS Japan will provide scholarships for students from the Tohoku region for long-term exchange programs to the United States. Care Center Yawaragi is a non-profit organization in Tokyo that offers personalized home care services for the elderly, including group homes, short-stay services, day services, and home help services. In response to the March 11 disaster and with support from JERF, the organization will provide healthcare kits, including bicycles, ponchos, gloves, masks, and antiseptic, among other essentials necessary for healthcare providers in the region who care for the elderly, ill, disabled or pregnant. The healthcare workers will focus on those outside of the shelters who lack mobility or means and require home care. Japanese Medical Society of America (JMSA) is a professional medical association of Japanese speaking doctors in New York. In partnership with the Fukushima Prefectural University Medical Center, it supports the Medical Center’s “Kokoro no Care” program, a project to create community-based multidisciplinary mental health clinics. These clinics will provide mental healthcare to patients with symptoms resulting from the March 11 disaster, as well as those with pre-existing conditions. Japan Primary Care Association is a professional society of medical practitioners, researchers and students that promotes best practices in the medical and health and welfare fields. In response to the Tohoku earthquake, the Japan Primary Care Association established the Primary Care for All Team (PCAT) to undertake medical relief work in the region. JERF supports PCAT teams–multidisciplinary healthcare teams headed by doctors–who provide medical care to evacuees in shelters and temporary housing, and to those in need in their homes. The healthcare teams also provide long-term support for local physicians in the region to ensure that patients have access to continued primary care, including a specialized team in obstetrics. Supporting Union for Practical-Use of Educational Resources, in partnership with Abukuma NS Net, both of which run summer camps for children all over Japan, started the Fukushima Kids Summer Camp for first through ninth graders from Fukushima Prefecture who cannot enjoy the outdoors this summer due to radiation concerns. With support from JERF, an additional 200 students will participate in the Fukushima Kids Summer Camp in Hokkaido. The Supporting Union for Practical-Use of Educational Resources provided summer camp opportunities to children after the Hanshin Awaji and the Chuetsu earthquakes. Additionally, Japan Society extended another round of funding to the Tokyo Volunteer Network for Disaster Relief, which is collecting and distributing emergency relief goods, setting up a base in Tome, Miyagi Prefecture, and is coordinating the work of approximately 3,000 volunteers who distribute emergency relief supplies and aid clean-up efforts. The Japan Earthquake Relief Fund, launched on March 12, 2011, has received over $10 million from over 21,000 donors, including individuals, corporations and foundations. One hundred percent of the tax-deductible contributions to the Relief Fund go to organizations that directly help victims. On March 30, Japan Society announced its first round of funding of $1 million to four Japanese nonprofit organizations on the front line of relief and recovery. In addition to the Tokyo Volunteer Network for Disaster Relief, they are JEN, Entrepreneurial Training for Innovative Communities (ETIC), and the Japan NPO Center. “We have been rigorously monitoring the work of the fund recipients from the first round, and we are pleased with the progress these organizations are making,” Mr. Sakurai said. Updates from the Relief Fund recipients can be found on the Society’s website, www.japansociety.org/earthquake. Japan Society Vice President of External Relations Daniel Rosenblum said the Society continues to explore opportunities to fund the work of organizations that benefit children affected by the March 11 disaster, as well as organizations involved in long-term reconstruction efforts. “We are working on the selection process for a third round of funding and will be making an announcement sometime in the fall,” he said. The recovery and reconstruction process is likely to take five or even ten years, Mr. Sakurai said. “We are looking at a long-term process, and there is much uncertainty. But we are confident in the final analysis Japan will recover and thrive,” he said. Those wishing to donate to the fund can go to www.japansociety.org/earthquake or mail a check to Japan Society, 333 East 47th Street, New York, New York 10017; Attn: Japan Earthquake Relief Fund. Checks should be made payable to “Japan Society” and indicate “Japan Earthquake Relief Fund” on the memo line of the check. For additional information, email japanrelief@japansociety.org. In a previous announcement, Japan Society pledged half of all admission sales made March 14 through June 30, 2011 (totaling $50,000) to the fund. In addition, the Society organized the April 9 CONCERT FOR JAPAN, which drew 2,400 visitors, was viewed by over 200,000 people live on Ustream, and raised over $88,000 for the fund.